Hello there, I am happy in sending my logs for my E2E badge. I wasn’t sure where to start but I will do it telling the best thing that happened to me in the trail. Every time I think on that day I want to cry of excitement as a little girl in the wilderness section. We were only four hikers and I was the ahead when I saw the big, puffy gorgeous bear. I’m pretty sure he was more scared than me but that moment is imprinted in my head forever since I stayed still and couldn’t take a picture of it. 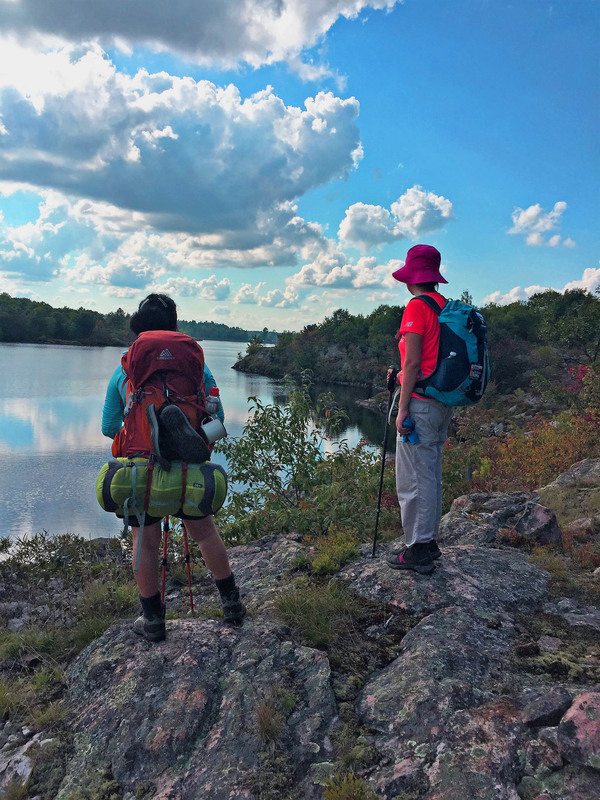 One of my first hikes ever was in Ganaraska Wilderness in 2017; it was an 8 hours hike with high humidity and thousands of mosquitoes but worth to try and since then I haven’t stop hiking. 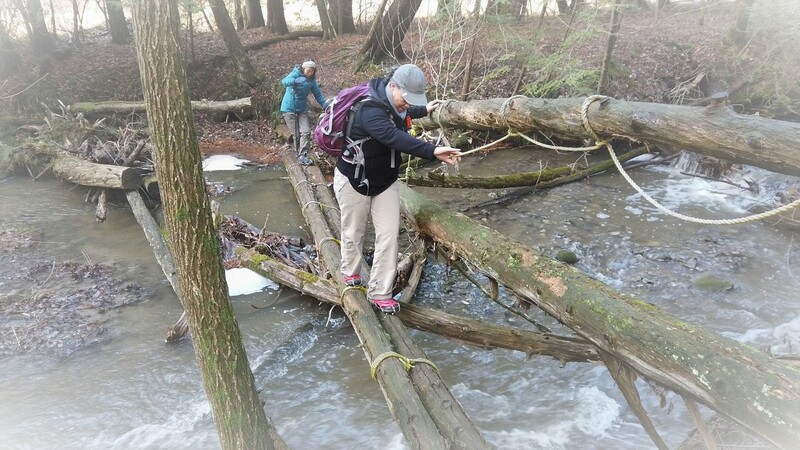 First I finished the Bruce trail then the Oak Ridges Moraine because I was anxious about the stories about the wilderness so I prepared and organized the hikes meticulously for safety of everyone. The backpacking in the wilderness section was the hardest one since it was one of the hottest humid days in September. I became dehydrated with symptoms like vomiting, migraine and dizziness I thought I wasn’t going to make it but the next day I was the strongest one while the others were struggling with the heat. In the other hikes on the Ragged and Montgomery trail we loved the autumn colours and I had a moment of silence in front of the rock remembering Doris, the hiker who died years before. I know in my heart she was doing what she loved, hiking. The Wasaga section had a couple of beautiful spots like in the Nordic area where we saw loons and we observed the sand dunes but our phones and camera were dead due to the cold temperatures and we couldn’t take pictures but one, we did 31km on that day. Barrie section was funny since we started our day with positivism and enthusiasm but a muddy pothole swallowed my leg together with my snowshoe, hehehe we went back home for the first time after an incident like this one. Hiking along the lake in the Orillia section was wonderful, I’m thinking in coming back at some point in spring or summer time. I want to confess that my reason to start hiking was to overcome my illnesses and find peace in my soul and mind. When I started my journey I was a ‘victim of domestic violence’. I wanted to run away but instead I asked for professional help. During my hospitalizations my therapists noticed I loved walking and wondering in the city for hours and capable of doing 30km every day. I was advised to find a group in the MeetUp so I could meet people and I found the hiking group there. Now, I’m not longer a victim, I’m a survivor. After more than a decade I left the abusive environment, a decision that I took while hiking. Sauntering in the trail cleared my mind and I drastically change the turn of my life. I am free to do what I like at the same time helping those who join me in my group for whatever reason they are hiking. Mental illness is invisible and as a survivor I can tell you I learned to fake my happiness very well but hiking brought me peace. For now, our next trail is the Grand Valley and Avon trails and then I’m hoping there will be another trail to put my feet on the ground while I’m trying to live my present. Thanks to all the volunteers and members from the Ganaraska trail association that made it possible for us to hike safely. Especial thanks to Glynn, John, Carol, Tom, Frieda and Louis for responding back to my emails and phone calls. A special thanks to Troy who was my partner-in-crime in every single hike; without him this wouldn’t be possible. 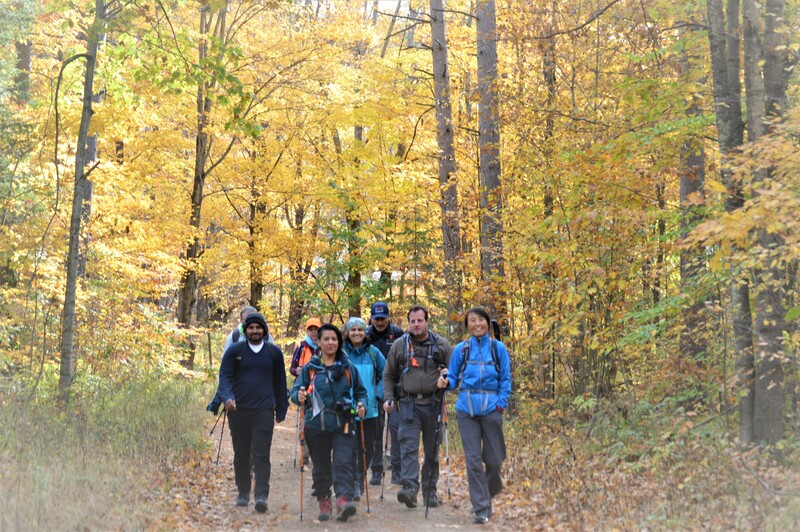 Thanks to my closest members in the Hiking Team GTA: Jean & Frank, Jeremy, Selena, Natalie, Paul, Tanya, Neha, Garima, Alex, Tony, Jonathan, Gerry, Sandi, Naira, and many more. Frank and I hiked the Grand Canyon Rim to Rim in 2011. Machu Picchu Inca Trail, Peru in 2014 and the Mount Everest Base Camp, Nepal, in 2016. Additionally, we also finished the Bruce Trail E2E in September of 2018. We asked ourselves; where do we go next? We hiked Ragged Rapids Loop in the Wilderness Section with Glynn in the summer of 2016 to prepare for our EBC trip. 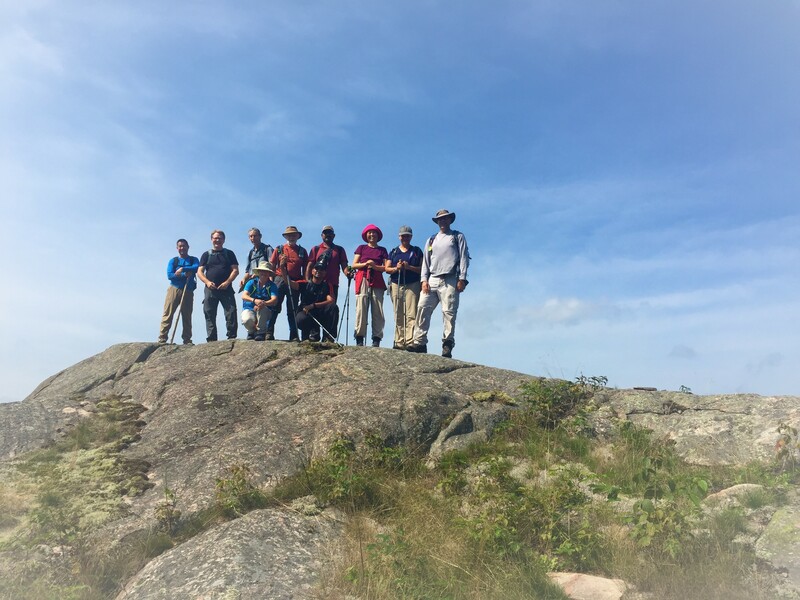 That hike impressed us so we decided to complete the Ganaraska Trail E2E. We proudly became GT Wilderness Club members in October 2018. Miranda and Troy started the GT E2E in the spring of 2018 where we joined them in September 2018. The very first GT hike we did together was the Crossover in Wilderness Section. It was hot and the humidity was high. Eight hikers joined and none of us were experienced backpackers. The hike was extremely hard for all of us. Some members experienced heat exhaustion and some even experienced vomiting. We were unable to get to Loon Lake campsite as planned, but Wolf Lake campsite was the most beautiful campsite that I had ever camped at. We toasted Frank’s birthday with coffee and hot chocolate that night. 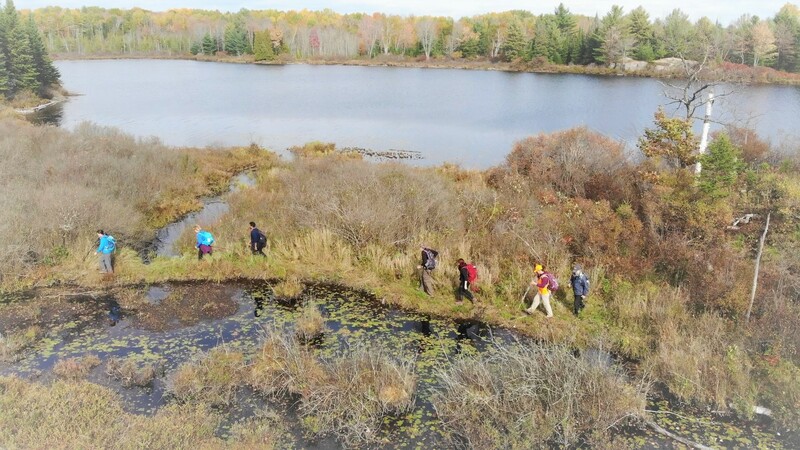 We crossed over 19 beaver dams and worked as a team to encourage one another. We were really happy when we made it to the parking lot before dark. Troy, Alex and I shared a small can of Coca-Cola at the end. That was the best Coca-Cola that we had ever tasted! It took us 24 hikes to finish GT E2E. We hiked in 38 degree weather with high humidity in the fall and minus 23 degrees before windchill in the winter. 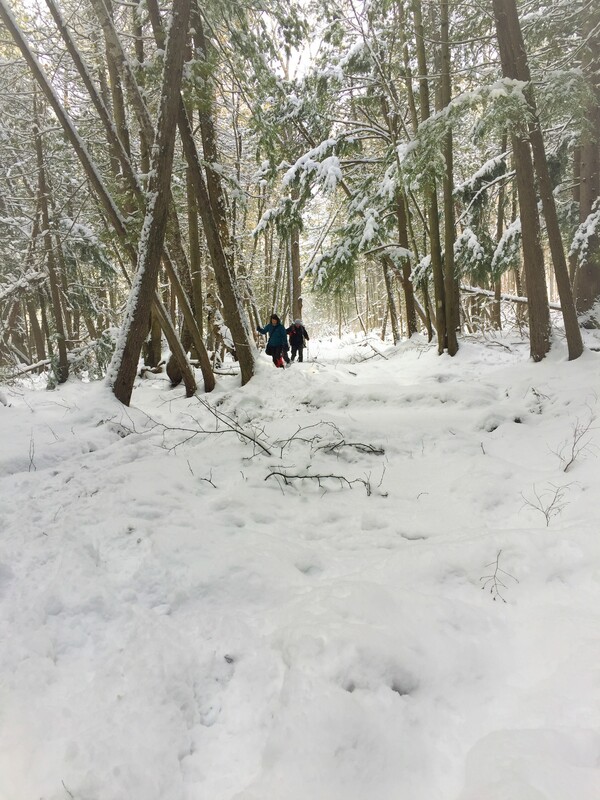 We hiked in knee deep mud in the Barrie Section and knee deep snow in the Mad River Section. We hiked one of four biggest wetlands in the world. In heavy rain, under hot sun, miles and miles on train tracks and fast highways we hiked. Frank managed to drive our car into the ditch in Victoria Harbor. 17 KM hike turned out to be a 29 KM hike in Tiny Trail. We repeated the same question over and over, “Where is the blaze?” We often missed the blazes, traced back to the last one and got back to the trail. I set up the hiking schedule and we went hiking accordingly, regardless of the weather conditions. Nothing could stop us. We faced many challenges during our journey, but we knew what doesn’t break you, only makes you stronger. There are so many people that we need to thank for helping us finishing GT E2E. First is our extraordinary hike leader Miranda who planned and led the hikes. Second, is Troy who was with us all the way and never ever complained. Third, is all the hikers along the way. My friends Doug and Colleen carpooled us to Wasaga Beach; the land owner Tom, carpooled us into Mad River and the Midland Section president Marc, shuttled us on one of the coldest days of the year. 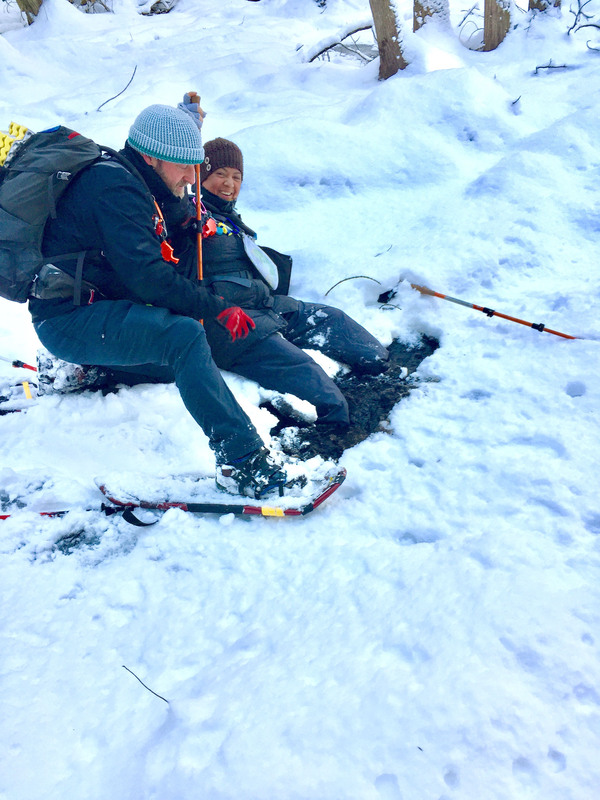 It was bittersweet when we did our final GT E2E hike on Feb. 2, 2019. I truly did not want the hike to end. GT is unique in its own way and I will treasure the memory of GT in my heart forever. Looking forward to our Yosemite trip in May. Life is good. Keep hiking!